Are you planning to visit North Myrtle Beach? If you are, then you should ensure that you enjoy some of the seafood prepared by the best restaurants in the area. While there is no shortage of places along the beach to find seafood, local North Myrtle Beach residents seem to have a few favorites we’d like to share with you. Here are the top 5 North Myrtle Beach seafood restaurants to visit during your visit (in no order). Did we miss you favorite? Let us know on Facebook! 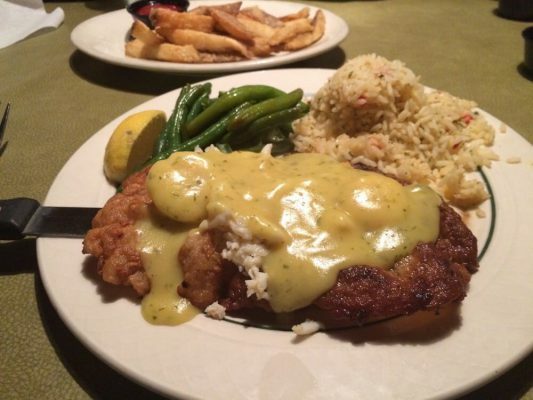 This Cherry Grove area restaurant offers great seafood with the southern style we’ve come to love. If you want to enjoy your stay in the beach, you should ensure that you visit this restaurant since you will always be met with the quality that would match your expectations. In addition, you should remember that Duffy Street Seafood Shack restaurant has some of the trained chefs who will ensure that you enjoy stay in the city. When you visit the restaurant, the staff will ensure that they offer great services and excellent seafood at reasonable prices. The popular Onion Rings will have you wanting to come back again later that day just to taste the deep-fried goodness all over again. We’re also partial to the popular steamed Oysters — 12 fresh served with crackers and sauce/butter for just $12.99 is a great value. Sea Merchants Restaurant has been operating for over 25 years, but many visitors to the beach don’t even know about it! Sea Merchants Restaurant is definitely a wonderful place for families to go. The seafood is uniquely different at the same time spectacularly delicious. When you visit them, you will find that wait staff are full of personality, helpful, and really love their time helping you pick the perfect dish. 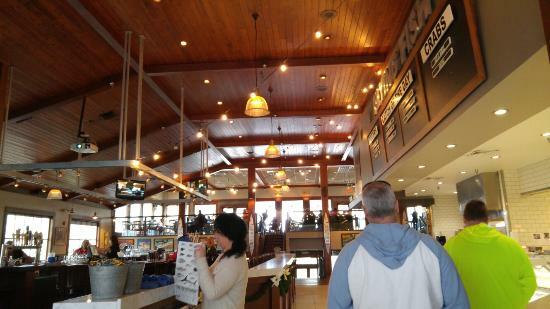 Atmosphere of the restaurant is an older style, fireplace, wooden table, cloth napkins. When you visit, you will enjoy yummy tasty shrimp and tasteful scallops that makes them a perfect place if you love unique flavors. You will always get some of the best deals especially for those visiting the restaurant ordering their fresh fish dishes that are very tasty. For those who need a casual early dinner, this should be their restaurant of choice. 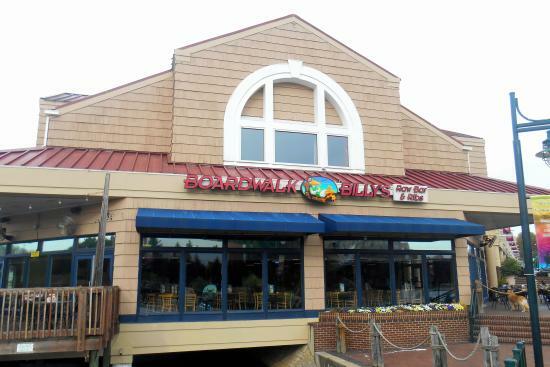 Their seafood is really good. You will enjoy species of mollusks, raw Oysters which the restaurant prepares very well. In addition, they have outdoor patio where you can sit to enjoy your food while having a look at the water. During your stay, you can play some games such as beanbag toss. You will definitely enjoy yourself during your stay in the Crescent Beach area for your vacation. Their prices during happy hour are awesome with seafood choices (about 1/2 pound of crab legs going for only $7, sushi ranging from $2.99 to $3.99). You will enjoy your time when visiting this popular area restaurant. Make sure to come early, it can fill up with lots of guests to the area later on during the day. The restaurant specializes in offering Flounder, Cod, Sea Bass and Oysters which are excellent in terms of their flavor profile. When you visit them, you will always have a wide range of options that you can choose from when visiting the restaurant. Eating at the Flying Fish Market & Grill will give you an experience that will live in your mind till the next visit back to the beach! All seafood they offer is perfectly seasoned and cooked fresh. You will always be happy that you will enjoy your time eating mouth-watering food during your vacation. In addition, music and live entertainment shows keep you entertained when visiting the beach for your holidays for the first time. Another amazing seafood spot is the Eugene Platt’s Seafood Market that has all you need especially when visiting the Cherry Grove area. They offer special shrimp, crab legs, calamari salad, flounder, and included cocktail sauce that you can enjoy during your stay at your condo rental. In addition, you will find that they have fair prices and their seafood is often some of the most fresh anywhere in North Myrtle Beach! While not a traditional restaurant with seating, you can take your food to-go and enjoy at your own pace. Great restaurant to get fresh seafood! 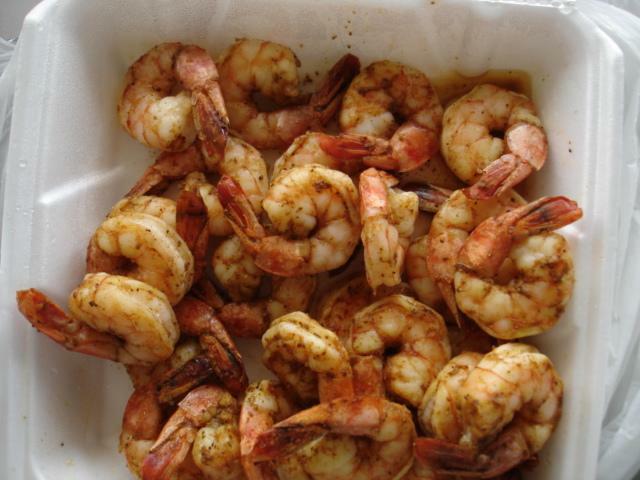 Our guests love their steamed shrimp with special ‘house’ seasoning. In terms of their prices, they often some of the best prices especially when you want to save some money during your stay at North Myrtle Beach. Apart from their excellent seafood, you can enjoy the cool climate and sea breeze during your visit. 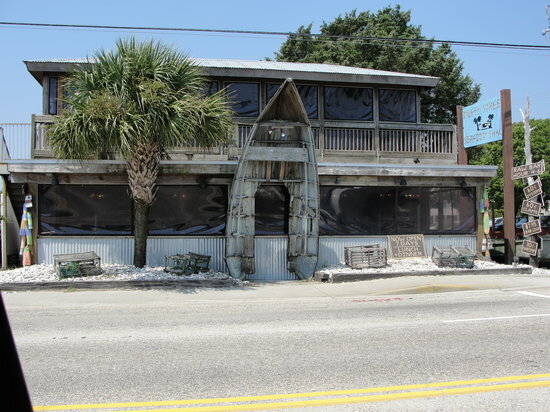 In conclusion, the restaurants we’ve highlighted are the top 5 North Myrtle Beach seafood restaurants to visit during your vacation especially when you want to get fresh locally-caught seafood!